Our philosophy of relaxation and rejuvenation delivers the ultimate restorative experience for our guests. Indigo Fields has a menu of spa treatments that will soothe and refresh you. 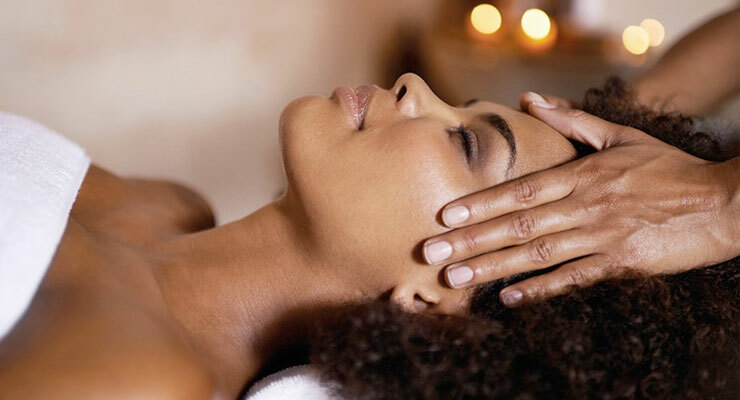 These treatments are included with the various spa packages that we offer. Full body session – Your choice of either of Full Body Swedish Massage OR a Hot Stone Massage. 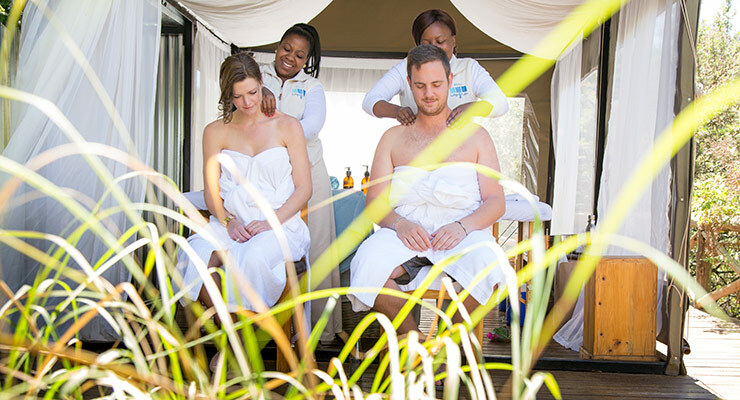 All our treatments are 90-minutes INCLUDING the transfer times to and from the bomas (outdoor treatment areas). Our skin continually renews itself. The refreshing texture and exfoliation benefits of a mineral lavender-scented scrub boosts circulation and increases the blood flow to the skin surface, revealing healthier skin that is more receptive to massage oils and post-treatment moisturisers. This simple yet exhilarating experience is an important part of an holistic treatment routine and will leave you uplifted and energised. Steam is a simple, natural way to reinvigorate the skin and relax the body. The moist heat stimulates subcutaneous blood flow opening the pores, eliminating toxins and impurities. This is followed by a full body scrub. Slipping into a warm Jacuzzi after a full body scrub is the ultimate in relaxation. 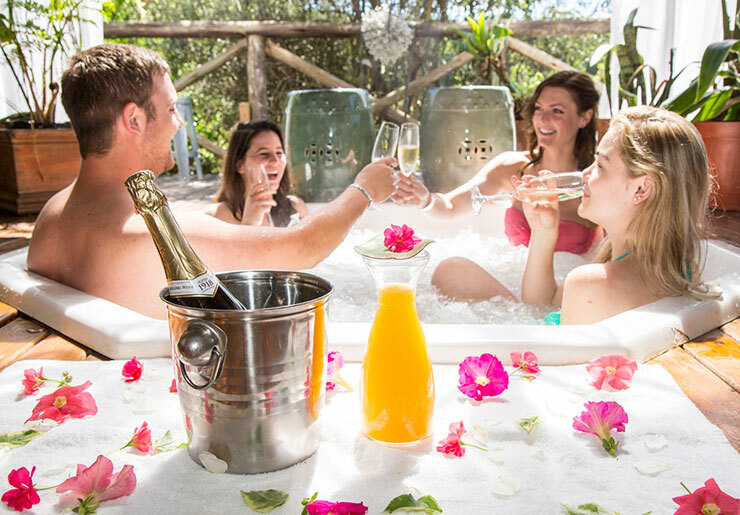 Sip on a glass of bubbly while the water currents continue the blood circulation work started with the steam therapy and full body scrub. Let go of all the stresses of the world and enjoy the moment shared with friends or someone special. An Indian Head and Shoulder Massage slows us down … sensual awareness takes over, our thoughts quieten and we are brought into a state of equilibrium. Our Indian Head and Shoulder massage is a seated treatment where we concentrate on the upper back, shoulders and head. Our preference is to use oil for the massage which doubles up as a restorative hair treatment but it can be executed dry if preferred. This holistic treatment employs specialised techniques aimed at releasing tension in the head, neck and shoulders. Deep tissue work on the shoulders together with pressure point massage and effleurage throughout the head massage results in improved blood circulation and increased oxygen supply to the muscles, brain and scalp. The overall effect is one of harmony: anxiety is reduced helping one to think more clearly and lifting one’s mood. Our Indigo Fields herbal facial begins with you relaxing on the massage bed whilst we invite you to enjoy the beautiful scents of the Victorian Garden organic conscience skincare range. We love to use products which are as natural and organic as possible. Our herbal facials focus on using biologically active extracts in sensitive formulations making our skincare safe and effective for all skin types. Victorian Garden Skincare has a traditional as well as African Indigenous range from which we have refined a menu that considers all skin types, skin health and healing benefits. The massage techniques employed for a Full Body Swedish Massage are designed to bring the entire body into a state of complete relaxation. The sequence is aimed at replicating the movements of the circulatory systems moving from outer limb towards the heart, thereby speeding up metabolic processes such as lymph drainage, detoxification and cellular activity. The back, front and the back of legs and arms and hands are massaged before ending with the feet. Although personal preference and “massage fitness” dictates the amount of pressure the therapist applies, it should aim to relax the body and reduce stress. Hot Stone Massage is a nurturing, healing treatment aimed at bringing you to a sense of equilibrium especially beneficial during or after periods of high stress, trauma or disappointment. It is a deeply sensual experience in which warmed stones are positioned on parts of the body, mostly the shoulders and down the spine and the back of legs, in the hands and in the arches of the feet. The warm stones allow improved localised heat penetration before the stones are then used to massage the area more completely. The heat of the stones relaxes tense muscles, relieves pain and stiffness and improves circulation. Highly recommended for those who suffer from muscular aches, arthritis or auto-immune disorders, or who prefer a much lighter massage. Each of our treatment locations provide a nurturing, tranquil experience. We use specially selected luxurious and natural products to calm the body and soothe the soul. © Copyright Indigo Fields Farmhouse & Spa.